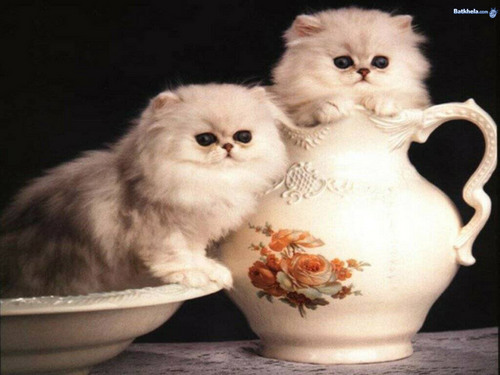 This Kitties photo might contain persiano and gatto persiano. oh, aren't they though, I love kittens, they are my fave animals, I have two of my own, well they are not really kittens anymore though. My black cat just turned 8 4 days ago & my other cutie pie, he's white & grey, so fluffy, will be 3 in April of next year but he's bigger than my black cat though.